The first week of outreach has been incredible and very full. It is such an honor to be able to partner with local ministries and see right before our eyes how God is bringing transformation to our city. 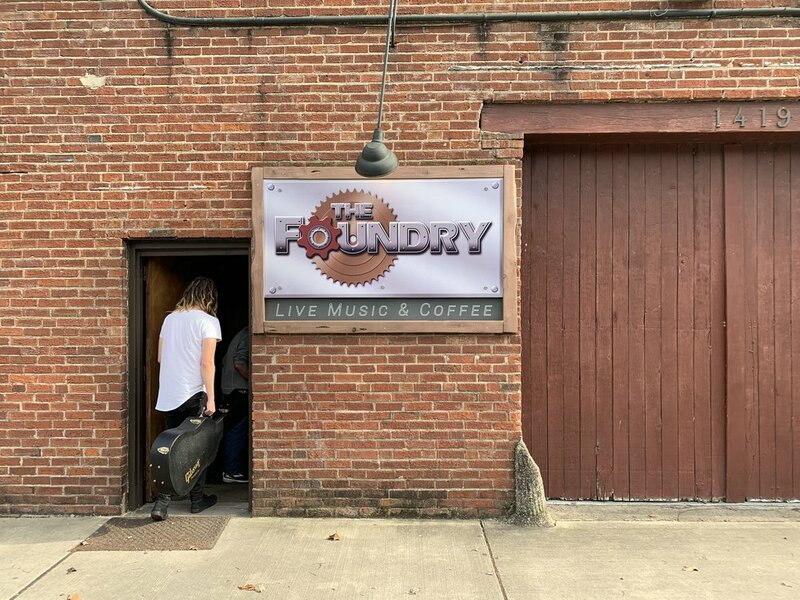 All during the Nashville outreach, we have the opportunity to work alongside the team at the Foundry. On our third day we were able to prophesy and pray over the Foundry’s team and staff. We felt honored to pour into them, to speak into what God is doing and share His heart for their ministry. We also got to encourage and prophesy over each of them individually. All four Thursdays this month, our team is partnering with the Foundry for Meal of Hope. Meal of Hope is a weekly church service and dinner served to the homeless and lower-income community of inner-city Nashville. They have been doing this event every Thursday night for over twenty years. The vision is to serve food to those who are hungry but to really feed them hope. This past Thursday at Meal of Hope our team was able to help lead the service. Blake and Trenton led worship and Iain got to share a message about the Father’s heart. In his message, Iain shared part of his story and was able to speak from the perspective of a father who carries such love, tenderness, and acceptance. His message shared that God’s love is constant, it doesn’t matter what they have done or where they are at right now in their life, He still has open arms towards them. It was a powerful time and we were told that our team was able to bring a deeper sense of peace causing everyone to enter in and respond to the peace we carried. We spent this week during the day with Papa Joe at Elijah’s Heart where we got to serve the people in the J.C. Napier community in inner-city Nashville. Every morning Papa Joe poured into us, sharing stories and his experiences, and gave us some incredible teachings to equip and train us. Our team had the opportunity to walk through the community, knock on every door telling them about our lunches as well as the big neighborhood cookout picnic event for Saturday, and just to get to know some of the people that Papa Joe serves. We were able to build relationships with people and some of the kids joined us in passing out flyers. We made over 3,000 sandwiches and lunches during the week to give away to the community for spring break. In addition to that, we got to offer prayer and encouragement to the people who came in for lunch. People experienced healing and peace from being ministered to and one lady told us several days later that she was still feeling peace from when we prayed for her. It is a gift to get to partner with this incredible ministry that feels like family! Our team is so expectant for the things God is going to do in the next few weeks and that we get to see miracles and the goodness of God in the place we call home.